Enjoy today! 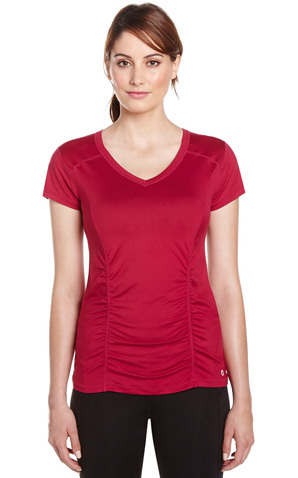 From gym to yoga to everyday outfits, this Hyba t-shirt will make a versatile addition to any active wardrobe. It features a scoop neck, dolman short sleeves, longer back hem and a loose fit. Pair it with all your favourite leggings!